Company Information – Sirois Tool Co., Inc.
At Sirois Tool, we truly believe that our employees are critical to the success of the company. Without them, nothing happens! Therefore we try our best to make them feel appreciated. One way we do this is with our benefits package. Not only do we offer competitive salaries, but our complete benefits package is one of the best available. To start, we have a free medical, vision and dental plan. This is highly unusual in this day in age. From there, we also offer a 401k, with a company match and profit sharing. Finally, we provide tuition reimbursement. In addition to salary and benefits, we realize that our employees also need a career path and job fulfillment. It is imperative that we provide this especially to people who are just starting out. Therefore, another way to show our appreciation is through praise for individual accomplishments. This was demonstrated last week when we had a celebration for one of our apprentices. Kyle completed his Apprenticeship hours in February. The Connecticut State DOL issued him a Certificate of Completion, which we presented to him. To further celebrate his accomplishment, we gave him a Gerstner Tool Box. Kyle graduated from the Manufacturing Technology Program at Vinal Tech in Middletown. He came to Sirois Tool because we were willing to put him into a state approved Apprenticeship program. We will continue to participate in this program in the future, especially if they can introduce us to students like Kyle. Working with customers across a variety of industries, from Aerospace to Firearms, the one common necessity is accuracy. In an effort to continue providing service beyond our customers’ requirements, we are continuously looking for ways to improve our own processes. One such improvement was the investment in a CMM (coordinate measuring machine). When sourcing a CMM, our top priority was to find a flexible system that offered reliable and repeatable measurement along with scanning capabilities for different products. We selected the Zeiss Contura CMM because of its outstanding capacity to adapt to a variety of applications, along with the added measurement and scanning technology provided by its CALYPSO CAD-based measuring software. CALYPSO can import STEP customer models of products, so we are able to provide accurate inspection data right from the model. This CMM allows us to automate inspection processes while speeding up throughput on more complex inspections. Its fixed passive sensor also allows for single-point measurements of features. Zeiss CALYPSO software enables us to perform almost any measuring task. Additionally, CALYPSO’s planner package allows offline programming and inspection simulation to be performed, which saves time and helps to avoid costly CMM crashes. Another side benefit to using this CMM for inspection is that we are able to import the data collected directly to IM Pro, our inspection management software. The IM Pro facilitates the collection of measurement results from the CMM, enabling retrieval of the measurement data in real time. This not only saves us time, but it also improves the accuracy of the inspection reports. Zeiss Industrial Metrology is a leader in CNC coordinate measuring machines and complete solutions for multidimensional metrology both in the lab and in production. We’re proud to align with Zeiss for our industrial metrology needs, and we are confident that their products will provide us with dependable, accurate inspections for many years to come. 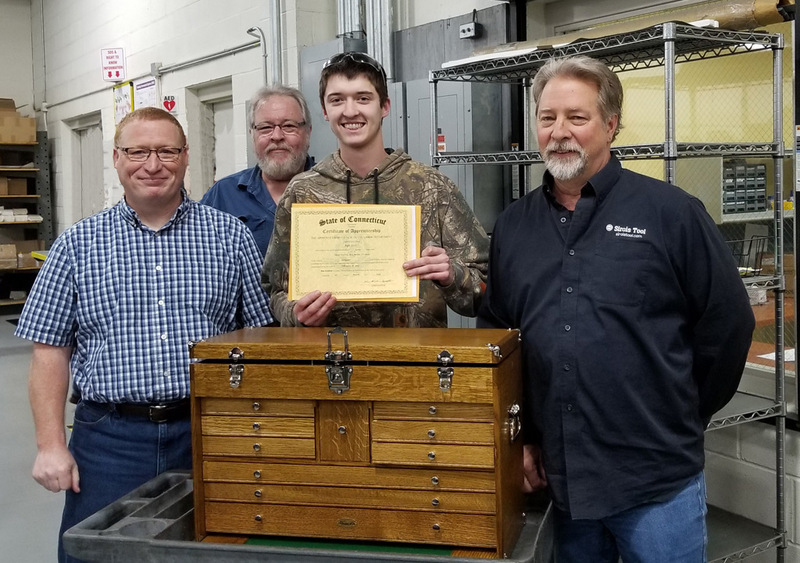 Sirois Tool continues to add equipment capabilities and capacities, and even more importantly, train all employees, especially apprentices and others new to the Industry. This enables Sirois Tool to keep up with customer requirements for tooling, gages and precision machine parts and assemblies. Contact Us at (860) 828-5327 for your Tooling, Gauge and Contract Manufacturing and Assembly needs. As manufacturers we know that investing in our future workforce is critical to our success. It’s not enough to find the next employee. We must be committed to promoting careers in manufacturing with every chance we get. Recently, we were approached by Vinal Tech to create a video in conjunction with CPTV’s Making the Future. It would star one of our apprentices. We saw this as a great opportunity to promote manufacturing. It also highlighted our business and gave our intern great pride in what he’s doing. As you see, Ian talks about the benefits of a career in manufacturing. He talked about the training he’s getting at Vinal Tech and how it translates to his internship. Most importantly, he shares his plans to continue his education and work towards a specific career goal. A path for success is critical to the next generation of workers. This is also a great recruitment tool as it helps to promote Sirois Tool. Ian talks about how much he enjoys working with Hugh and the benefits Sirois Tool offers. Our focus is a work environment that is a pleasure to come to and a benefits package that shows our employees how much they are valued. Ian does a nice job of demonstrating our mission. I know that as manufacturers we are typically hesitant to share information, concerned that it will be used to take business or in more recent years, employees from us. This is something we need to change if we’re to address the workforce shortage. The challenge will not change until we change our approach to it. Alan Ortner became an Executive Committee member of the National Tooling and Machining Association (NTMA) for a 3-year term starting 1/1/18. The Executive Committee has now elected him to serve as Vice Chairman for 2019. Alan has accepted the position as a means to continue supporting the industry organization. In addition to continuing his current role as the E/C Liaison to the NTMA Budget and Finance Team, Alan has been asked to be the EC Liaison to the NTMA Chapter Executives Team. He hopes to use this opportunity to strengthen the relationship between NTMA National and the Chartered Chapters of NTMA. NTMA is the national representative of the precision custom manufacturing industry, backed by nearly 1,300 members, representing more than $30 billion in sales. In addition to serving as a powerful voice to the industry they also serve as a valuable national resource for their members, helping them grow profitably. 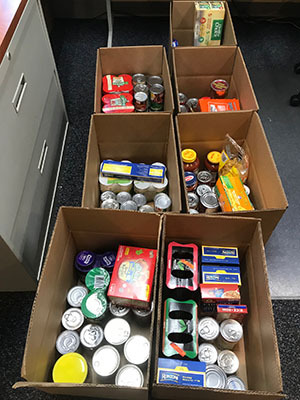 In the spirit of the Holidays, the Sirois Tool employees had a Food Drive that generated several boxes of food for the Amazing Grace Food Pantry in Middletown, CT. The food was delivered to Amazing Grace on Monday 12/10 so that it could be distributed to families before the Holidays. The Amazing Grace Food Pantry, a program of St. Vincent De Paul, provides free groceries to low and no-income families in Middletown, CT. The Pantry serves approximately 3000 individuals or 1075 families each month. Sirois Tool also held a Raffle at their annual Christmas Party and collected donations from employees. They raised $1428 to donate to the many programs provided by St. Vincent De Paul. In addition to the Food Pantry they also offer meals at their Soup Kitchen and provide Community Assistance and Supportive Housing. Sirois Tool would like to thank their valued vendors: J & G Machining; RSW Machine & Tool; Top Priority Tool and Scarfo Precision for their donations of some of the Raffle prizes. Thank you also to Nancy LaPier who organized the Food Drive and the Raffle.